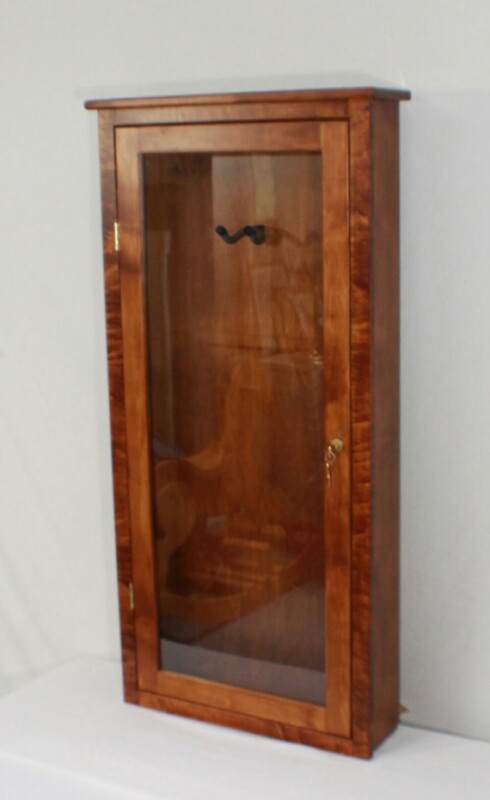 Beautiful, Hand-made Electric Guitar sized display case in Maple. 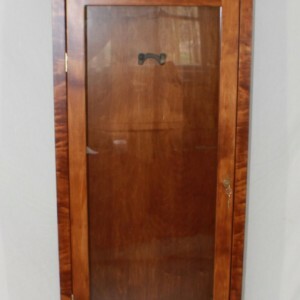 The face frame and door are in solid figured Maple. 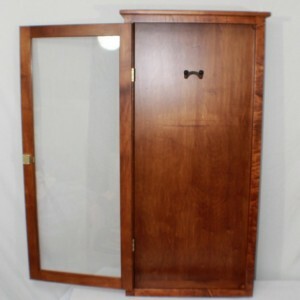 Door has a clear UV lexan full view paine with a keyed lock. Solid 1/2" thick maple plywood back and sides. Overall outside dimensions are 48" x 22" x 6", plenty of room for most electric guitars. 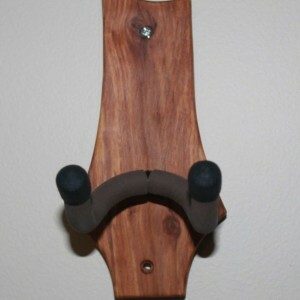 Stained in a aged brown natural color with two clear coats of a stain finish. 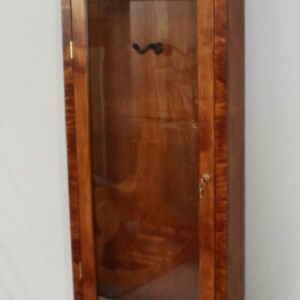 To protect those special guitars, this display case is plenty roomy enough to add your own supplied humidor. 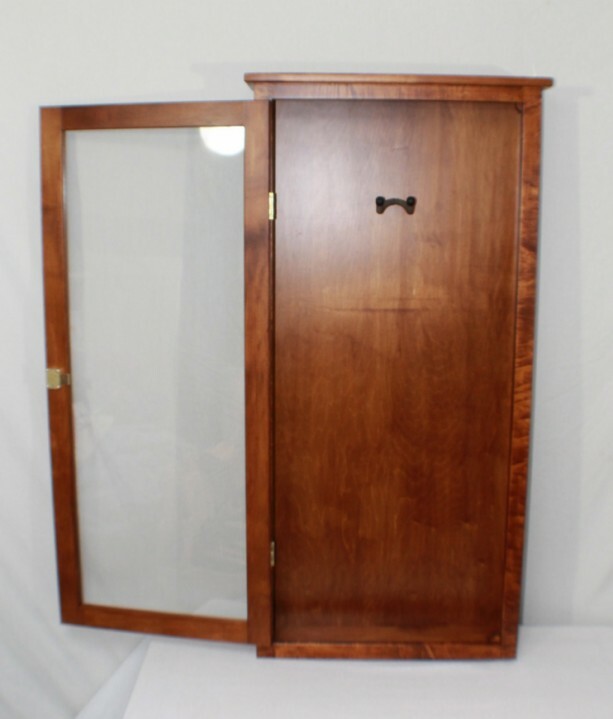 If you do plan on adding a humidor I can upgrade this cabinet with the addition of a door gasket. Please contact me for details. 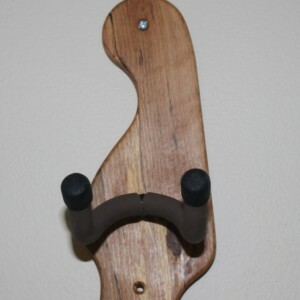 Included is the guitar hanger shown. 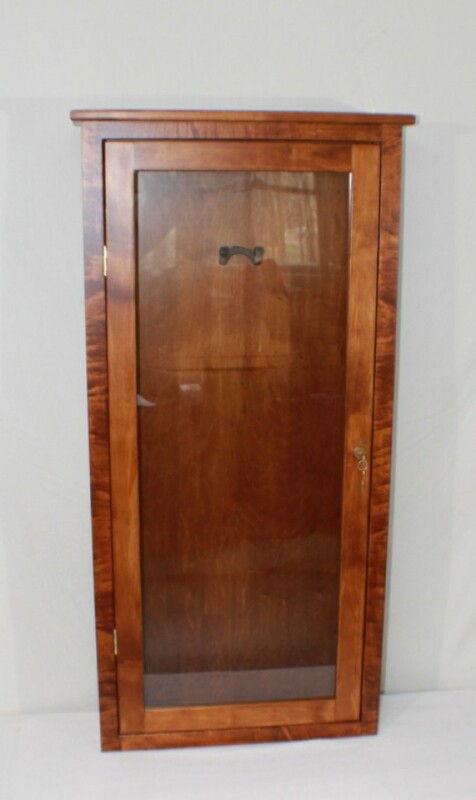 The display case shown in the pic's is the one you will receive. Shipping is by UPS ground and a received signature is required. Contact me for international shipping.